Technology can connect people to politics and drive them away from it. Technology can disrupt established political practices, sometimes bolstering democracy and sometimes undermining it. This panel will examine how technology is changing the nature of democracy in Africa, for both better and worse. This panel will examine how technology - most notably new digital innovations such as Whatsapp and biometric voter registration - is changing the nature of democracy in Africa. Papers will examine how technology can better connect people to politics, as well as how it can disrupt "politics as normal" for better and worse. 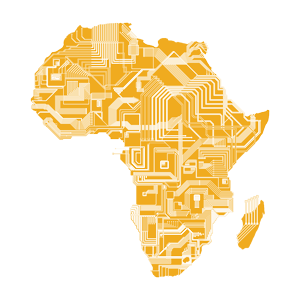 Technology has many potential benefits for democracy in Africa. Social media can better connect people to their political representatives, create new channels for political participation, and provide new mechanisms of accountability. Digitalization, for example, has the potential to improve the integrity of democratic processes such as elections through the adoption of new methods to register voters before elections, verify their identity at the polls, and transmit the results once they have been counted. In this way, it can also empower observers - domestic and international - working to protect electoral integrity. Yet technology also has potential downsides. Most notably, it can provide incumbents with new tools to rig elections, some of which are far easier to hide from observers than those they've used in the past, such as "fake news". This panel invites papers that examine the complex impact of technology on democracy. Papers may examine the implications of new technology for political institutions (such as parliaments and political parties), political actors (including international actors, domestic civil society and ordinary voters) and political processes (particularly elections). Authors are welcome to address a variety of levels (national, sub-national, regional) and to employ diverse methodological approaches.